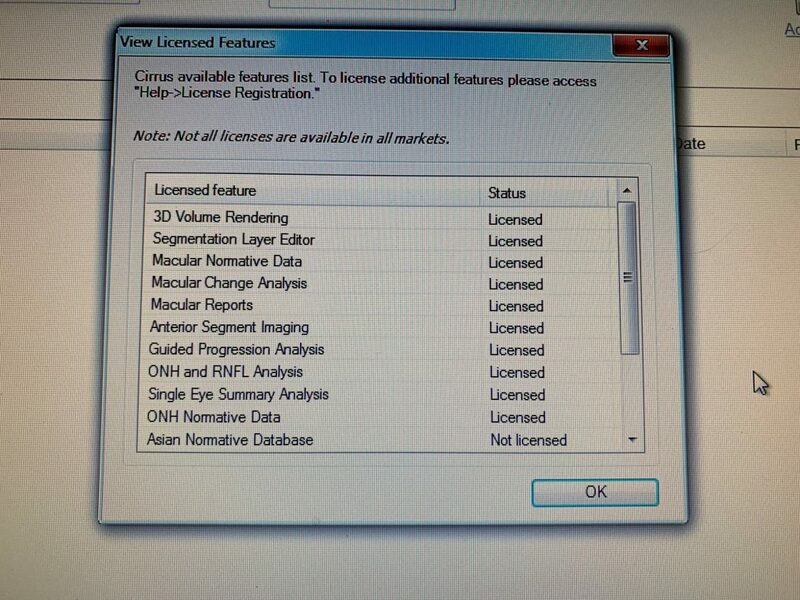 A Fantastic example of the upgraded ZEISS Cirrus 4000, running a Quad Core with Windows 7 operating system. 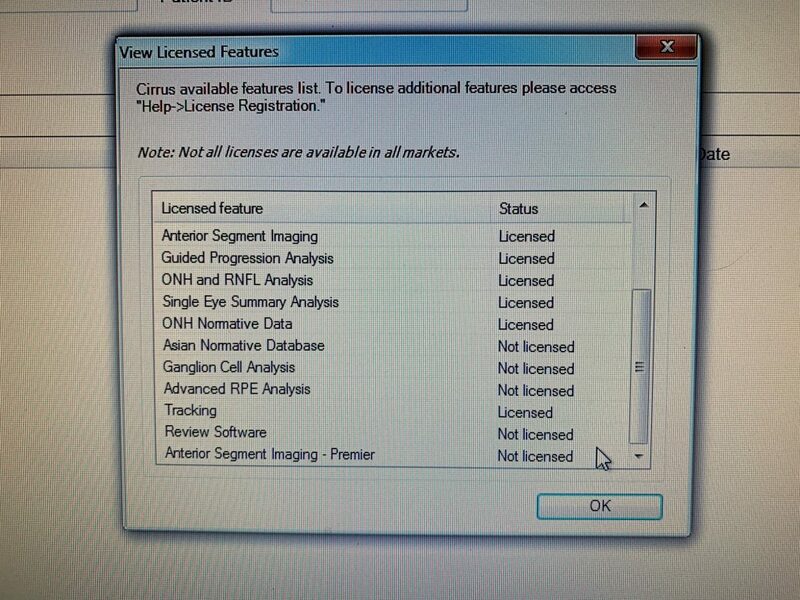 Licenses registered – see screen shots. 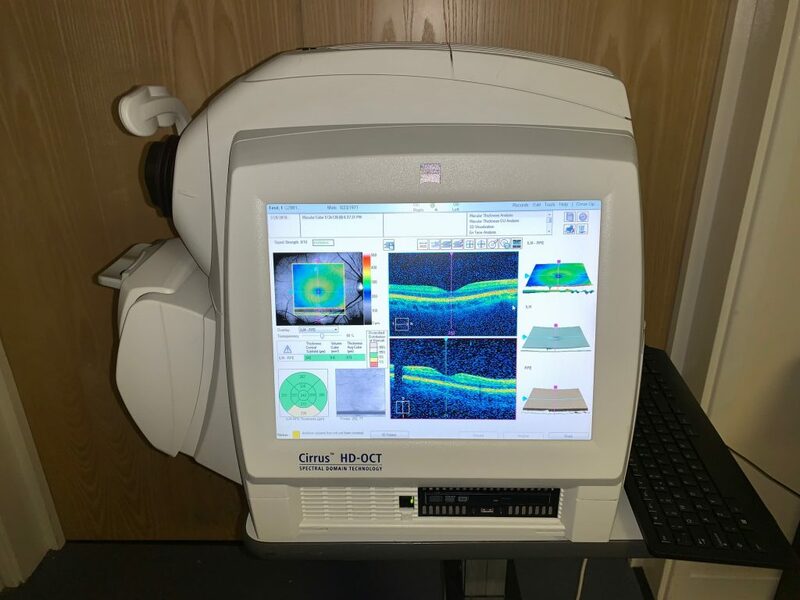 Fully serviced by ZEISS UK.